Are you looking for a great gift for your family or friends? 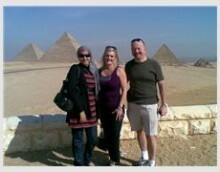 Or are you looking for the perfect memento to remember your trip to Luxor by? Enjoy a day of souvenir shopping in Luxor! Whatever you may be looking for, you will be sure to find it on this personalized shopping tour. You will visit several great places with a private guide where you can find high-quality souvenirs. But not only will you be able to purchase unique gifts and souvenirs, you'll also be able to see the various stages of the production of local crafts. Alabaster: For those who are looking for authentic souvenirs, the alabaster factory is the perfect place to start. There you will be able to see exactly how alabaster is used to make Egyptian handicrafts, the same way the ancient Egyptian artisans used to make their artifacts. The art of sculpting and carving has been passed down from generation to generation and the local craftsmen use the same tools as their ancient ancestors. Here you can find alabaster vases, lamps, Egyptian sculptures and much more. Not only is alabaster a great souvenir, it is also a good investment for your money since the value of this mineral increases over time. Papyrus: Luxor is the home to many papyrus institutes and you will visit a papyrus workshop to see how papyrus was made in ancient times. You can observe the process and the tools the papyrus artisans use to make beautiful crafts. Here you can buy hand-painted papyrus scrolls with images from the ancient tombs and temples and more. Perfumes: Stimulate your senses at an oriental perfumery! Here extracts of a wide variety of oriental flowers are used to make exquisite, pure oil perfumes. Choose blended perfumes or pure flower essences, such as gardenia and jasmine, or papyrus and lotus flower which are exclusively available in Egypt. For aromatherapy, choose from a wide range of medicinal oil blends. Gold & silver: Egypt has always been famous for gold and silver. Gold mines are found in Nubia, in the south of Egypt. Many pieces of jewelry can be customized to your preferences and for instance, you can have your name engraved in a gold or silver cartouche or ring in ancient hieroglyphs. Or choose other jewelry items with ancient symbols, such as Key of Life (Ankh), Eye of Horus or scarab. Carpets: For a colorful and luxurious souvenir, visit a local shop with handmade carpets. Find Bedouin and Nubian kilims, carpets and rugs with various designs and made of different fabrics, such as wool and silk. Spices & herbs: In the Egyptian desert and along the Nile, many different herbs and spices can be found. For those who love drinking herbal tea, be sure not to miss the opportunity to buy hibiscus, fenugreek, caraway and anise, which all have their own medicinal values. In addition to spices such as coriander, cumin, saffron, ginger and cinnamon, you can find more exotic items like doum, tamarind, carob and sahlab so you can enjoy the flavors of Egypt at home. 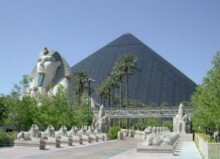 After enjoying your shopping tour you will be taken back to your hotel in Luxor.